I have two messages for the Sri Lanka squad and captain Angelo Mathews ahead of the ICC Cricket World Cup quarter-final against South Africa in Sydney: win the toss and do not get too hung up thinking about AB de Villiers. The toss, I believe, will play a vital part in the outcome of the match. The side batting first in One-Day Internationals at the Sydney Cricket Ground wins 58 per cent of the time according to the statistics but, in the pressure of a knock-out match as this one is, I reckon the advantage of runs on the board counts for even more than that figure suggests. It is a ground I know very well – I played eight ODIs there – and if you can get past 300, especially in a one-off clash with so much at stake then, unless you bowl very badly, you are very much in the driving seat. Australia showed against Sri Lanka the value of big runs on the board at the venue so that although Kumar Sangakkara,Tillakaratne Dilshan and Dinesh Chandimal played brilliantly, it was just too difficult to maintain the required rate of more than seven runs per over throughout the innings. Sri Lanka played with real freedom in that chase knowing they were already heading to the quarter-finals, but that freedom might not be possible now the matches become all-or-nothing affairs. A total in excess of 300 batting first means the side needing to get those runs has to go at a run a ball from the outset and, if wickets go down and the run-rate increases, and in the knowledge of it being a win or bust encounter, batsmen’s brains can get scrambled very easily. You can add to that, too, the fact that of the matches South Africa have played in the competition so far, all their wins have come batting first and both their losses – against India and Pakistan – have come chasing. South Africa have a reputation for buckling at the business end of major tournaments with the last one they won being the ICC Knock-Out – the forerunner to the ICC Champions Trophy – way back in 1998. That is a major monkey on their collective back, especially when media and the public remind them of it every time this stage of an event comes around. At the same time though, Sri Lanka have no such hang-up having won the ICC World Twenty20 last year and reaching the World Cup final in each of the past two editions. So, providing the pitch is a decent one then if the coin comes down in Mathews’ favour on Wednesday I think it would be advantage Sri Lanka, even before a ball has been bowled. As for de Villiers, I just hope the Sri Lanka squad does not put itself under undue pressure by focusing too much on the importance of his wicket. Yes, he is the Proteas’ key man, as he has shown both through this tournament and over a number of years, and he will have great recent memories of the SCG given his demolition of the West Indies attack there last month with his unbeaten 162 from just 66 balls. I know first-hand how tough he is to bowl at and in recent years, when we were together in the Indian Premier League, I marveled at the range of shots he possessed. He is quick on his feet, inventive and his no fear approach puts bowlers under pressure from the word go. And of course you would expect Sri Lanka’s bowlers to have studied videos of his recent batting and have plans of how to contain him and to dismiss him. But putting him on a pedestal beyond that level of basic planning would do them no good at all. After all, South Africa’s batting line-up is no one-man band. There are Hashim Amla, Faf du Plessis, David Miller and JP Duminy for starters who can hurt you badly, and that ignores what the less experienced Rilee Rossouw and Farhaan Behardien can do as well. Instead of that, what Sri Lanka need to focus on is taking early wickets and getting de Villiers in as quickly as possible because if they can do that then he will need to adapt his game to those circumstances. If he comes in with a platform laid, wickets in hand and the field spread then that is a licence for mayhem, especially against a Sri Lanka attack that has struggled to contain opponents throughout this World Cup. 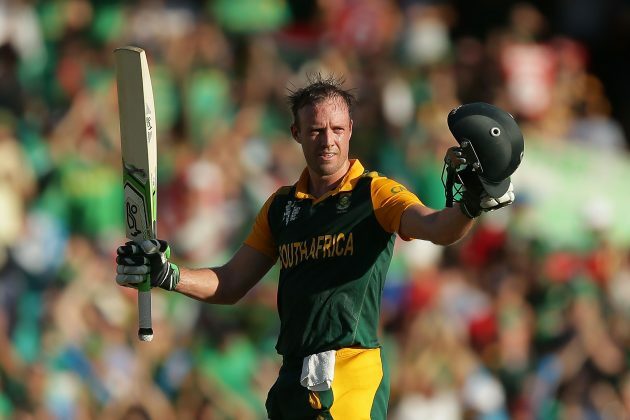 But if de Villiers comes in at 80-3, especially in a big chase, then that could be a different story entirely. In any case, from a Sri Lanka perspective, we know that South Africa’s bowlers will have just as much food for thought about Kumar Sangakkara and asking how they restrict him and how they get him out, following on from his four successive hundreds. If I was in charge of the final Sri Lanka team meeting then that would be a major theme of mine: forget how much they can hurt us with the bat; we can hurt them just as much, or even more. As for where the pressure lies in this match, I think most of it is fairly and squarely on South Africa’s shoulders. And I say that for several reasons. One, I have already touched upon, is South Africa’s historical fallibility in knock-out matches and, whether they like it or not, the players of both sides will be aware of that fact. But for Sri Lanka, by and large, the pressure is off. I say that because, although the side has a fantastic record of getting to the business end of major tournaments and competing, they are still rarely regarded as a favourite team, an honour that usually resides with Australia or India or, in this case, New Zealand too. It means Sri Lanka can operate below the radar and that is the way to be. On top of that, no outsider has ever really given Sri Lanka a chance of winning this World Cup in Australia and New Zealand, in conditions just about as far removed from home as you can imagine. So that is a weight of expectation removed. 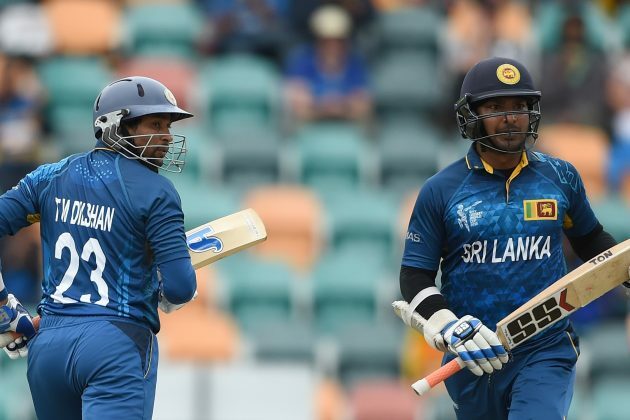 Are the likes of Sangakkara and Mahela Jayawardena under pressure knowing that every match could be their last, ahead of their imminent retirements? I do not think so because they are professional enough and experienced enough to do their preparation and trust that preparation to carry them along. They have played in World Cup finals too before, remember. The only pressure Sri Lanka has is the knowledge that if left-arm spinner Rangana Herath is not fit and Mathews is not fit to bowl then the attack, as has been the case throughout the tournament, can appear a bit threadbare. But on the basis you cannot reinvent players, least of all midway through a tournament, you just have to make the best of things and get on with it. The reality is this is a mouthwatering prospect. It is the business end of the biggest tournament in the world, both sides have worries, both have world-class players and, on paper at least, there is no obvious favourite. All the same, I have strong belief in Sri Lanka’s chances – especially if Mathews wins that toss.